Darkness is everywhere and you are the only hope of the town to bring back justice, fight against brutal enemies and slay monsters. So, do you think you’ve got what it takes to hack and slash your way through the dangerous and unexpected dungeons, avoid deadly traps, slay monsters, collect powerful loot and take down the bosses? 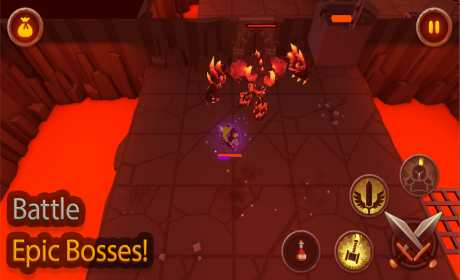 King of Raids is for those who are into action RPG games and are a fan of hack n slash gameplay. It delivers hours of intense battles with wonderful graphics and sound effects that really give you the feeling of being trapped in a dungeon full of monsters and traps. The interface is very user-friendly and you just need to play this game for a few times to completely get used to the controls. After that, it’s just about moving around, finding the enemies and trying to take them down and getting ready for a one-on-one combat against the boss. ?RAID DUNGEONS AND COLLECT POWERFUL LOOT? Dungeons are randomly generated to make sure there are always new challenges and surprises waiting for you. Your main objective of each dungeons if defeating the boss at the end. But, you first need to slay different monsters by using your weapons and make sure to avoid the deadly traps. Speaking of the weapons, you have access to a powerful arsenal and each weapon has its own set of abilities. For example, if you use the warhammer against the enemy, it shoots a chain of lightning in front of you and damages all the monsters in its path. Note that, some of your abilities have cool downs and cost mana to use. So use them wisely. If you are looking for more challenges, you can unlock rifts and maximize stats on your gear to be able to fight against stronger bosses with higher difficulty levels. And there is also the option to connect your Google Play Games account to this RPG adventure game and enjoy seasonal leaderboard and compete with friends and family in greater rifts. 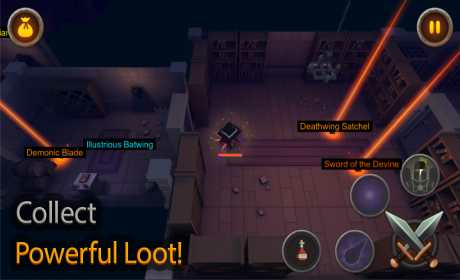 King of Raids offers everything you should expect from such dungeon adventures games and it even sets the bar to a higher level by providing smooth hack n slash gameplay, realistic sound effects, amazing graphics and designs, so many unexpected challenges, wide range of armor and weaponry and a lot more. 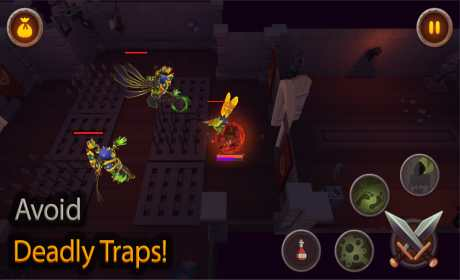 Your objective is to fight against bosses in each dungeon and of course try to collect gold and loot, slay monsters, unlock rifts and be the top in the leaderboard.
? See why we are one of the most exciting free role playing games.
? Get one the best offline rpg games for android in 2017 for free! Let us know about any bugs, questions, feature requests or any other suggestions.